The Stampede garnered fans far and wide. And art is inspiring…. 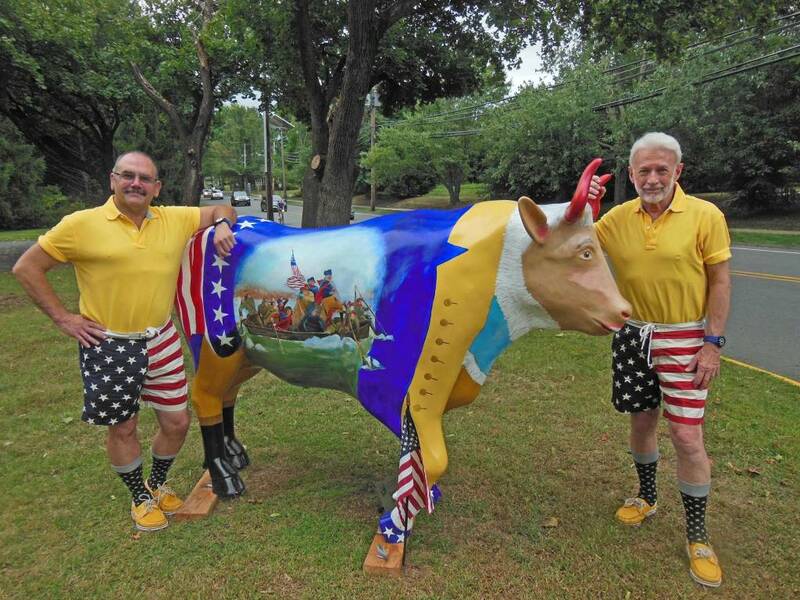 Valley locals and friends from afar love our beautiful oxen. Here are some tidbits from our fans – comments, ideas for enjoying the Stampede, prizes, and their own fun and games. Have something to contribute? Post it on our Facebook page. The Stampede and contests are over, but you can still see many photos related to these fan-inspired sensations by following the links. Follow the folks on the right and post your “Stampede look alikes”! Check out this photo album of all the oxen by photographer Ed Groth. Thanks to Kristen Buono for the Olly Olly Oxen Free Picture Scavenger Hunt! Many of the oxen have moved, and leave the valley then reappear, so this can be an ongoing challenge! You must be ecstatic…the finished work is really breathtaking..one more gorgeous than another. I really commend you both for your amazing organization and the professionalism each step along the way…I am thrilled to be a part of the project. Here’s an oxen joke for you wild and crazy folks…. What do you call cattle with a sense of humor?